El Mono ("The Monkey") is dedicated to highlighting Peruvian specialties. Raised in a culturally diverse community in San Francisco, I possessed a carefully cultivated list of under-sung eateries, and like many urban epicures, I naively believed that gems like these did not exist outside the S.F. city limits. After trading my 415 for a 510 and moving to El Cerrito with a skeptical eye on the food scene, I can say, well, the times they are a changin'. 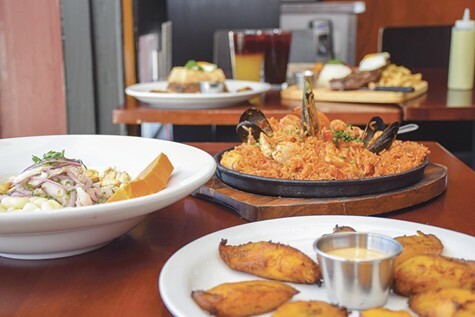 San Pablo Avenue, the once bustling highway, may be lined with used car lots, auto body shops, gas stations, and bars, but it has also experienced a quiet foodie renaissance with exciting newcomers joining some of the old favorites. El Mono – Fresh Flavors of Peru is truly something special. Committed to bringing the ancient flavors of Peru to El Cerrito, this family-owned treasure offers casual dining, friendly service, and distinctive heirloom recipes that are vibrant on all fronts. The ceviche includes bright flavors, and unexpected ingredients like sweet potato, Peruvian corn, and plantains fried at their height of sweetness appear served with a side of chili sauce, sizzlingly-hot Peruvian seafood paella, and arroz tapado a lo pobre. 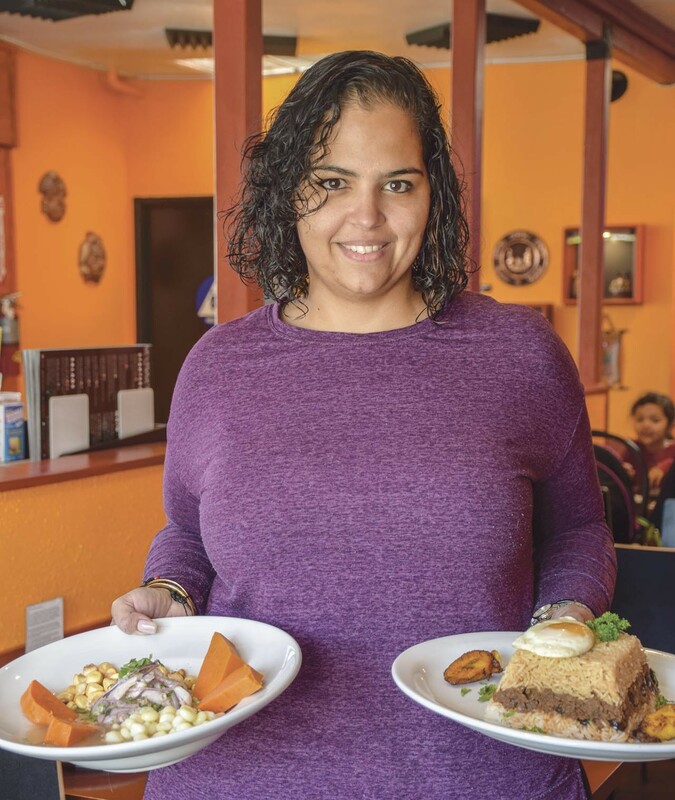 Co-owner Daniela Khadivian explained that the latter — a soul-satisfying dish featuring rice, ground beef, raisins, olives, and plantains topped with a fried-egg — is not typically served at Peruvian restaurants but is a classic comfort food prepared at home. This recipe was perfected and handed down by her grandmother, and customers have the good fortune of reaping the benefits. 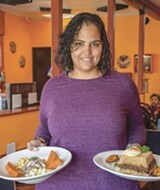 El Mono – Fresh Flavors of Peru, 10264 San Pablo Ave., El Cerrito, 510-778-8884. Sushi is the star of the show at this cozy neighborhood favorite, Yoshio Sushi, with traditional touches like the zashiki and horigotatsu-style room (take those shoes off and sit on tatami and pillows) for larger parties and an oshibori (pre-meal hot towel) hand-delivered to your table. Popular entrées abound, but make sushi your focal point and sidle up to the izakaya (sushi bar) where the itamae-san (sushi chef) serves up expertly-crafted sashimi and nigiri. Underwater delights not to be missed include Yoshio's sweet shrimp, scallop, catfish belly, sea urchin, and yellowtail. The maki rolls and hand rolls are noteworthy, too. In this pocket of the East Bay where substandard sushi is not uncommon, Yoshio Sushi maintains a high standard, so taste it for yourself. Yoshio Sushi, 10889 San Pablo Ave., El Cerrito, 510-237-0562, YoshioSushi.com. Himalayan yak's milk candy in El Cerrito? Why, yes, just down the street. International grocery stores have been popping up along San Pablo Avenue in recent years, and one, Himalayan Grocery, is well worth a visit. This small but well-stocked emporium of Nepali and Indian pantry and household staples awakens your senses when you cross the threshold. Explore the generous selection of imports, including a symphony of spices like Himalayan crystal salt, imported teas, dried goods, and an assortment of condiments. Nepali natives who have relocated to the Bay Area drop in to purchase a taste of home like Kurmure, a popular puffed rice street snack with savory seasonings; chiura, or beaten rice, a common breakfast or snack product; jimbu, an aromatic herb used to temper dal and other high-altitude recipes; and sweets like the aforementioned yak's milk candy. Take home some Indian imports as well, like rasmalai (an ambrosial dessert of paneer patties bathed in cardamom and pistachio-infused cream) from the Bengal region of India. Household accoutrements such as altar adornments, kitchen supplies, and toiletries are also readily available — familiar to some and unusual to others who haven't traveled to Kathmandu in this incarnation. Himalayan Grocery, 10340 San Pablo Ave., El Cerrito 510-679-5101. El Cerrito Plaza opened in 1958, and in its heyday, it was home to retail legends like Woolworth's and the Emporium (formerly Capwell's). In 2002, the mall was renovated, and only a handful of long-standing businesses remained, including The Junket. In 1979, husband-wife team Bruno and Cindy Frisch, now in their 80s, wanted to bring the flavors of Northern Europe to the Bay Area, and thus set up shop. The Junket is equal parts a food emporium of European imports and a delicatessen. Loyalists return for the Bockwurst and red cabbage sauerkraut, German potato salad, and the classic Reuben. Customers can eat in or takeout. Popular imports range from German and British beers, aromatic teas, and condiments (think Marmite) to crumpets, pickled herring, and a generous selection of sweets like salty licorice and European chocolate. Stop in for a taste of the Old World, and say hello to Bruno and Cindy. The Junket, 235 El Cerrito Plaza, El Cerrito, 510-524-4622, TheJunket.com. This blink-and-miss-it sandwich counter, Bánh Mì Ba Le. Vietnamese Sandwich Deli, may be tucked away in an urban strip mall, but it is a lunchtime destination for a cult following of bargain bite hunters who worship bahn mi. The French rolls here possess that perfect crunchy-crust-to-soft-center ratio that effortlessly transports generous helpings of vibrantly fresh ingredients. Bahn mi enthusiasts return for the ham and pork cake bahn mi (No. 2), BBQ chicken bahn mi (No. 9), and the vegetarian bahn mi (No. 10). A Vietnamese customer in line swore by the headcheese-and-ham stuffed bahn mi (No. 1). Not in the mood for something handheld? Other popular items include vermicelli bowls, pho to go, fresh shrimp summer rolls, and fried egg rolls. You won't mind standing in line for these delectable cheap eats. Bánh Mì Ba Le. Vietnamese Sandwich Deli, 10174 San Pablo Ave., El Cerrito, 510-528-8882. Boasting nine different mole recipes, a well-stocked cocktail bar, and an outdoor patio and fire pit, this welcoming family-style restaurant, Los Moles Beer Garden, has captured the hearts and taste buds of mole enthusiasts. If choosing from nine moles isn't enough, take your pick of over 30 different tequila-based cocktails. Feeling spicy? Order a refreshingly filling michelada (an acquired-taste beer cocktail spiked with ingredients like hot sauce, mole poblano, fresh mango purée, and more) to enjoy with a range of family recipes including mole poblano, camerones de mole de mango, huarache (corn masa cakes), crispy tacos, and organic roast chicken. Los Moles Beer Garden, 6120 Potrero Ave., El Cerrito, 510-230-4855, LosMoles.com/el-cerrito-home. Wenyan Petersen, chef and co-owner of Noodles Fresh, was raised in the southeastern Chinese province of Jiangxi in the city of Jingdezhen, the "porcelain capital" of China. It's no wonder that a wall installment of dripping teapots greets you upon first entry, as well as a collection of loose-leaf teas imported from China. The owners are committed to introducing diners to cuisine representative of Jiangxi and other regions, offering a thoughtfully curated selection of pan-regional dishes like the full-flavored garlic cucumber appetizer, piping-hot scallion pancakes, Jiangxi noodle salad, Sichuan dan dan noodles, the Shanghai double happiness (a vegetarian favorite), Sichuan chili fish, and Hainan chicken. Gluten-free, vegetarian, and vegan options are readily available. Noodles Fresh, 10042 San Pablo Ave, El Cerrito, 510-898-1710, NoodlesFresh.com.